This entry was posted on November 12, 2014 by admin. When you’re driving across the country with a stash of marijuana in your trunk, you follow the speed limit. You signal when changing lanes. You might even pick a route that skips Colorado, because ever since recreational pot was legalized there, police just over state lines have been on the lookout for anyone ferrying the drug from the area. But the Colorado-free route from California, where you bought your marijuana, to the Northeast, where you live, presents a curveball. Cruising along I-40 in Arizona, you encounter a border patrol checkpoint. “Good evening, officer,” you say. A German shepherd approaches your vehicle and somehow doesn’t detect the marijuana that’s under a pile of ice in a cooler. As you’re sent on your way, adrenaline pulses through your body. Tears pool in your eyes. You are, after all, committing at least several state and federal crimes, but when you get home a few days later, it’s business as usual. Three times a day, you or your wife will squirt 2.5 milliliters of marijuana oil into the mouth of your severely epileptic daughter. As a baby, the girl was diagnosed with infantile spasms, a neurological disorder that causes frequent seizures and long-term damage to brain development. Multiple times a day, she’s “like a robot whose plug has been pulled,” says her father. None of the drugs she’s been prescribed have helped and although she can walk, the girl, now 3, does not speak. She goes to a school for kids with special needs. The girl was having up to 200 seizures per day when her parents heard anecdotal reports that marijuana could reduce or even stop seizures. Since beginning her marijuana oil regimen earlier this year, the girl’s episodes are down to 30 per day at most, according to her father. These parents are in good company. 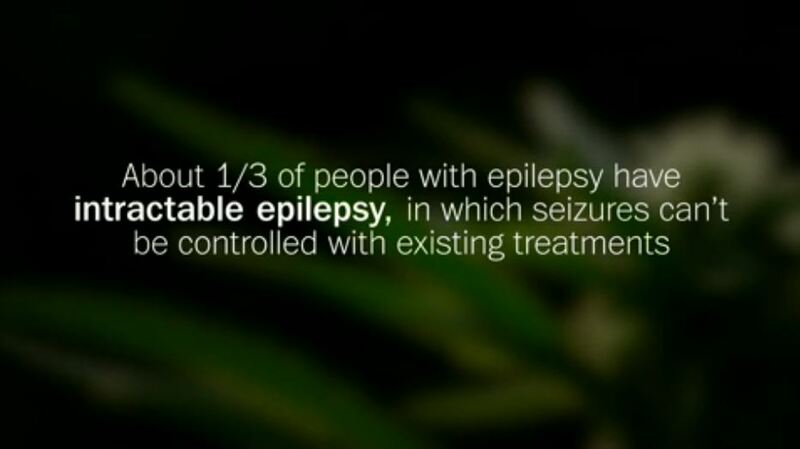 About 100,000 U.S. children have intractable epilepsy—a treatment-resistant category of the disease characterized by uncontrolled seizures—and for some of their parents, medical marijuana has gained a reputation as a wonder drug. Fueled by success stories on Facebook and family blogs, these parents are acquiring marijuana through quasi-legal and illegal means, giving their children a derivative oil low in tetrahydrocannabinol (THC), which causes psychoactive effects, but high in cannabidiol (CBD), one of the hundreds of other compounds found in the plant. And yet there is little science about the safety or efficacy of treating children with CBD. Medical marijuana is legal in 23 states, but federal law still classifies the plant as a Schedule 1 drug, “with no currently accepted medical use and a high potential for abuse,” according to the Drug Enforcement Agency. (Heroin and LSD are also Schedule 1 drugs.) This means that, even though doctors and researchers have suspected for decades that some compounds in marijuana might effectively treat epilepsy and other hard-to-cure conditions, independent clinical trials that include human subjects—let alone minors—are scant and require approval from three separate federal agencies. Since 1999, these agencies have approved just 16 independent studies of medical marijuana on humans. The lack of research presents a kind of catch-22: Without much scientific study of marijuana, the government has been unwilling to recategorize the drug. But the categorization as a Schedule 1 drug makes testing it on humans extremely difficult. This also presents parents with little expert advice. “The only guidance we were getting was the community on Facebook,” says Lori King, the mother of an epileptic 10-year-old boy whom she’s treated with marijuana oil since 2013. The little research that does exist raises questions about the effectiveness of CBD therapy for kids. A recent study, for instance, found that epileptic seizures were significantly reduced in just a third of children studied. Experts are also concerned that in a largely unregulated business, contaminants like pesticide residues and molds could lead to adulterated versions of an otherwise potentially low-risk drug. “All of a sudden you have these parent groups, which traditionally you’d think would be in opposition to any kind of liberalization of marijuana policies, and they have become the biggest advocates in favor of access,” says Amanda Reiman, manager of the marijuana law and policy unit for the Drug Policy Alliance. Some of these parents are hoping pot can help where mainstream medicine has failed. 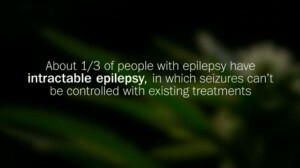 Epilepsy costs individuals and institutions $15 billion a year. It is far more common than autism, multiple sclerosis or a host of other neurological disorders. And it kills more Americans every year than breast cancer—and yet the disease receives just 20 percent as much research funding from the National Institutes of Health. What’s more, a third of people with epilepsy have an intractable drug-resistant type. In the meantime, parents admit they are, in effect, experimenting on their children. Some of them do so with a doctor’s help, tracking how the compound interacts with other drugs and measuring progress over time. But just as often, it seems, parents are going it alone. "If you still think marijuana has no medicinal benefits and it should remain illegal after watching this, you truly have no soul".